It’s the end of an era, again. 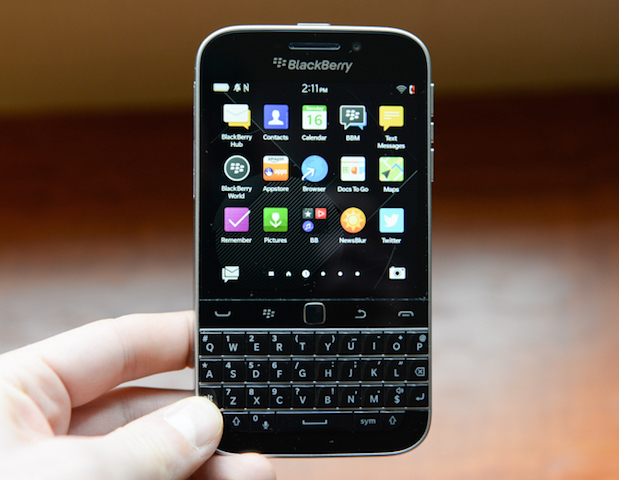 BlackBerry announced today that it will no longer manufacture BlackBerry Classic. This BlackBerry 10-powered device was part of the company’s strategy to revitalize its smartphone offerings and bring back loyal BlackBerry users who pined for the physical QWERTY keyboard. The Classic prided itself in being “crafted from premium materials and designed for reliability and durability.” Unfortunately, the 3.5-inch 720×720 pixel display, BB10 OS and physical QWERTY keyboard, were not enough to keep customers happy. “For now, if the Classic is still your device of choice, please check with your carriers for device availability or purchase Classic unlocked online. We continue to actively support BlackBerry 10 with software updates and are on track to deliver version 10.3.3 next month with a second update to follow next year,” says BlackBerry. BlackBerry is expected to unveil and add three new Android devices to its lineup in the coming months, currently known by the codename of Neon, Argon, and Mercury.